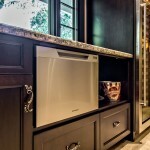 In the market for a new kitchen, media room or maybe even commercial architectural millwork? Care about sustainability and indoor air quality? Then we have the fabricator for you! Whether you are looking for a provider for residential or commercial woodwork, the PureBond® Fabricator Network™ is a resource for homeowners, architects, builders and general contractors alike. In 2008, Columbia Forest Products created a new tool for finding qualified local sources of cabinetry, furniture and fixtures made with healthier indoor air in mind. The PureBond Fabricator Network (PFN) is a partnership of craftsmen, cabinet shops, and fabrication businesses that all use PureBond hardwood plywood in their cabinetry. Some are even FSC® certified to ensure that the material they use comes from responsibly managed sources. Our PFN members are all experienced fabricators who can help you with your next project. Their areas of expertise include making fine furniture and cabinetry, but also construction of specialty millwork, retail fixtures, and commercial projects like dormitory, lab or institutional casework. 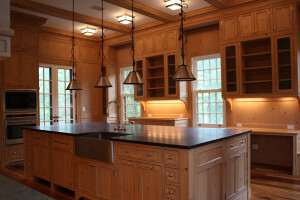 If you are a homeowner seeking a kitchen remodel or an architect who needs custom millwork for an entire office building or a builder looking for a steady supplier of fine cabinetry, there may be a local PFN provider near you. There are over 850 members throughout the US and Canada. Their knowledge of craftsmanship and understanding of environmentally-friendly materials is immense. We spend 85% of our time indoors today, so it’s important to consider the chemicals we bring into our indoor environment. Traditional composite wood products may be made with urea formaldehyde resins that will off-gas toxic formaldehyde into the air we breathe. You can eliminate that source of dangerous emissions by choosing cabinetry, furniture and fixtures made with PureBond hardwood plywood. It’s made with ZERO added formaldehyde and contributes to the US Green Building Council’s LEED® credits, NAHB Green and other national green building standards. Our PFN members recognize the importance of building with healthier indoor air quality in mind and joined our network to demonstrate their green convictions. Want to learn more about our PFN? Read our Profiles in Quality, or join the PFN for yourself! Contact PureBond with your questions.